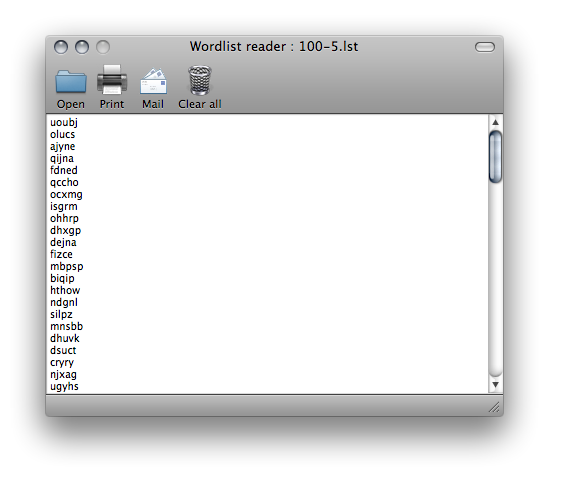 Example : if you create a wordlist with 100 words of 5 Characters : you ll obtain a file like this one : 100-5.lst. You can read lists created with the wordlist generator. Open : Open a wordlist or a cry file. Print : Print the Output of the reader. Mail : Mail the result to someone. Clear All : Clean the Wordlist Reader field.